US Olympic Silver Medalist 1972 NHL Player: Detroit, MN, KC, Colorado, and WHA MN Fighting Saints. 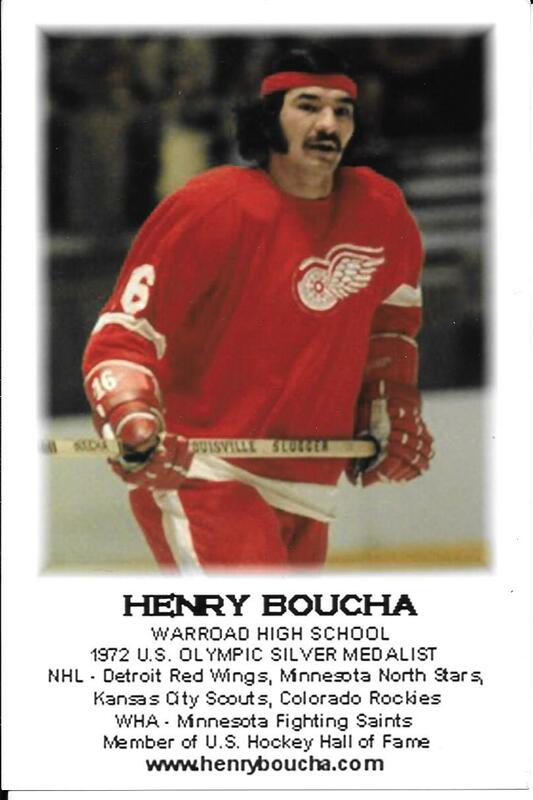 1995 United States Hockey Hall of Fame Realtor 29 Years at Edina Realty, Inc. MN CEO Boucha Films, LLC, Boucha Films, LTD Canada. Boards: VP National Coalition Against Racsim. MN Indian Education, Juel Fairbanks-Chemical Dep. President, Kah-Bay-Kah-Bing, Inc. US Army Veteran, MN NHL Alumni.